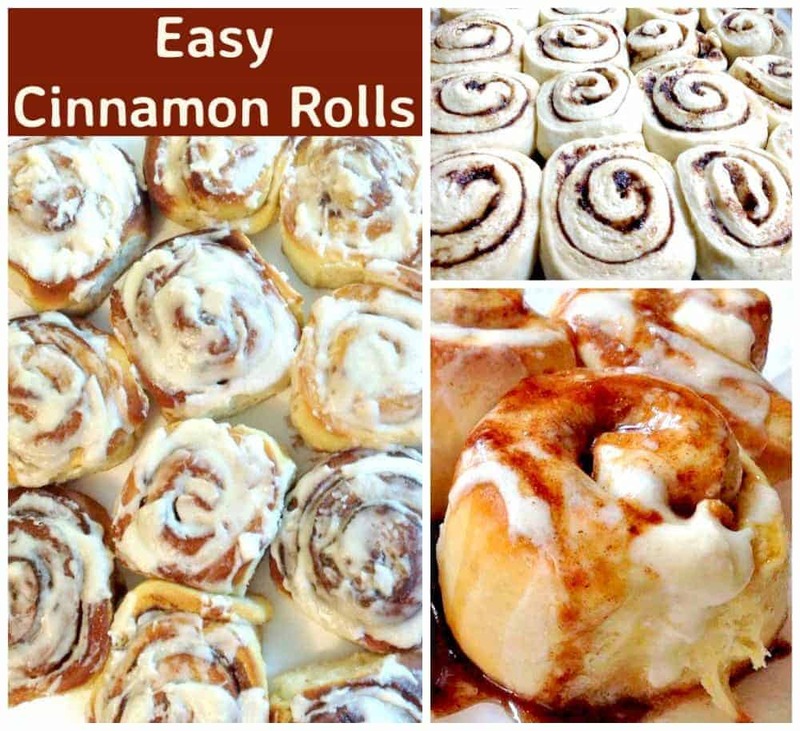 Easy Cinnamon Rolls. 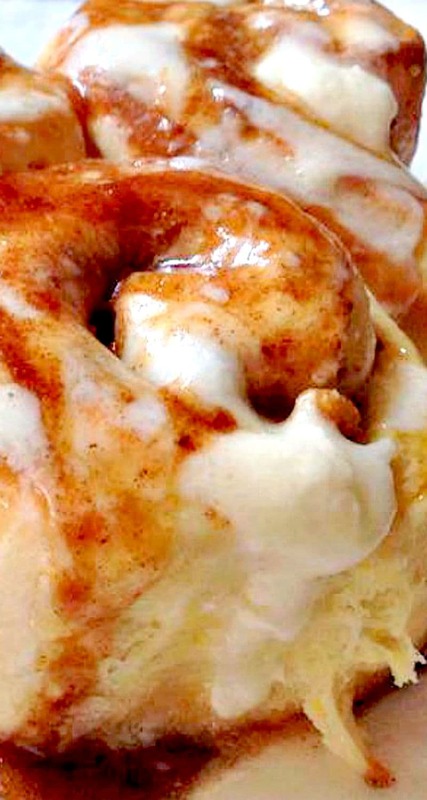 These sweet rolls are incredibly easy to make. 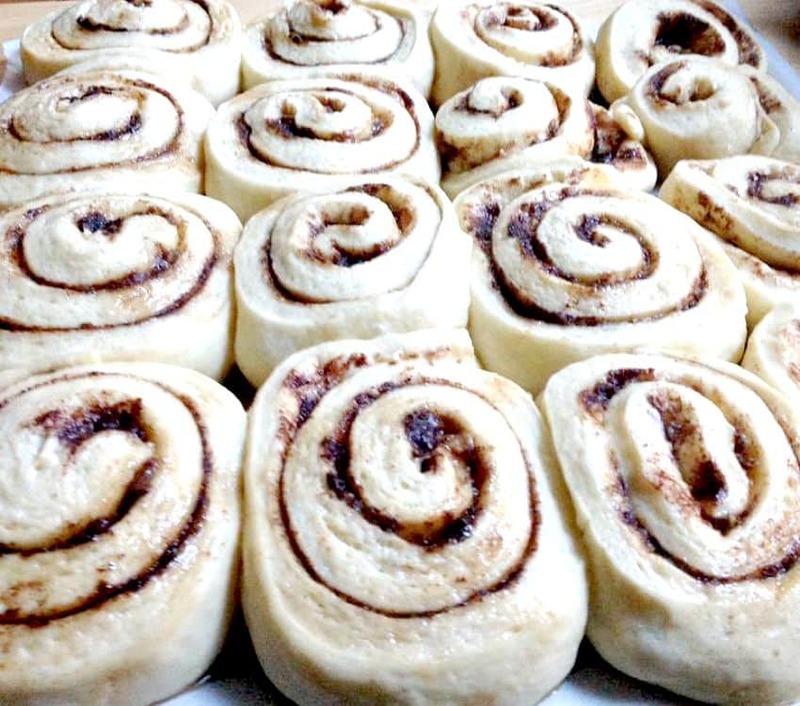 They do take a little time, because you have to wait for them to rise, but once you take your first bite in to these soft, sweet, sticky rolls packed with delicious cinnamon flavour and a wonderful vanilla glaze on top, you will know the wait was well worth it! This delicious recipe has been generously shared by one of our great cooks, Carina. 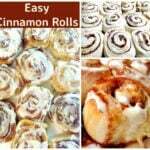 She’s always coming up with great recipes, and here we have Carina’s Easy Cinnamon Rolls with a lovely Vanilla glaze. 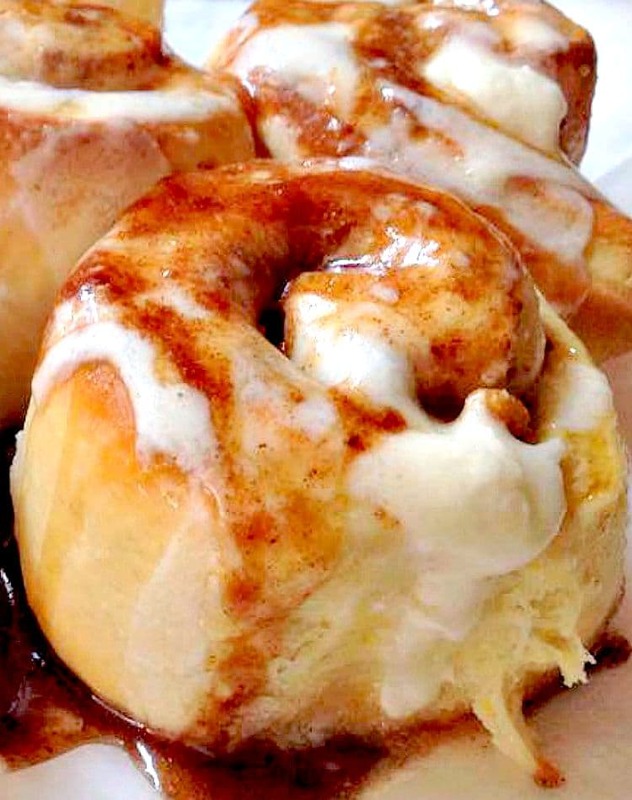 These rolls are really soft, sticky and sweet, so if you love sticky buns, these are for you! The original source for this wonderful recipe was adapted from the cookbook ‘Essentials of Baking’ by Williams – Sonoma. 1. In the bowl of the stand mixer, dissolve the yeast in the warm milk and let stand until foamy, about 5 minutes. Then add the granulated sugar, eggs, flour, salt, mace, orange zest and butter. 2. Using the dough hook, knead on low speed. Add a little more flour as needed for the dough to come away from the sides of the bowl after a few minutes of kneading. Knead until the dough is elastic and smooth, about 5 – 7 minutes. Then remove the dough from the bowl. 3. Form the dough in to a ball and transfer to a lightly oiled bowl. Cover and allow to rise in a warm, draft free spot until it doubles in size. About 1 1/2 to 2 hours. 4. To make the filling, in a small bowl, stir the granulated sugar and cinnamon and set aside. Line a half sheet pan or rimless baking sheet with parchment paper. 5. Punch down the dough and turn out onto a floured work surface. Cut the dough in half, dust the dough and roll out into a rectangle, about 10 inches by 16 inches. Brush the surface of the rectangle with half of the melted butter, then evenly sprinkle half of the cinnamon sugar mixture. 6. Starting at the long side farthest from you, roll up the rectangle to form a long log. 7. Cut the log into 8 slices, each about 2 inches thick. Place the slices cut side up in a circle, side by side and barely touching, on half of the prepared pan. 8. Repeat steps 5 – 7 for the other half of the dough. 9. Cover the rolls loosely with a kitchen towel and allow to rise in a warm place until they double in size, and are spongy to touch. About 30 – 40 minutes. 10. Preheat oven to 400 F or 200 C.
11. Brush the rolls lightly with the beaten egg and bake until golden brown. About 20 – 25 minutes. Test to see if done by inserting a toothpick into the centre of a roll and see if it comes out clean. 12. Just before the rolls are ready, make up the vanilla glaze. In a small bowl, stir together the confectioner’s sugar, cream and vanilla until all dissolved and the mixture thickens a little. 13. 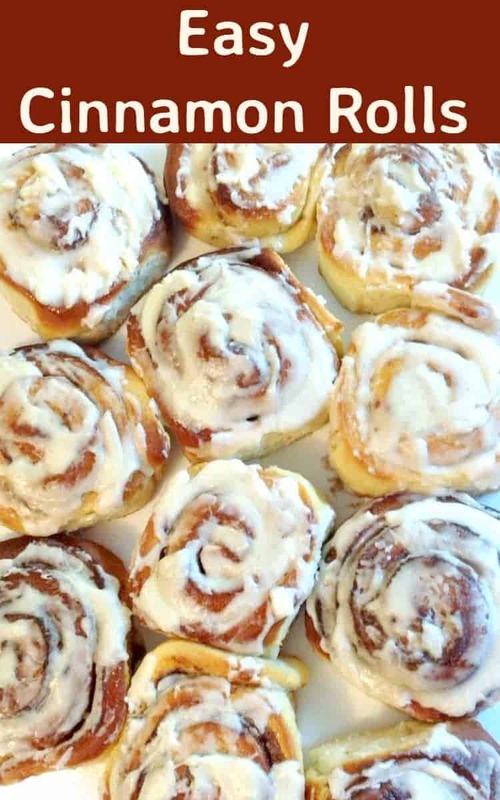 Let the rolls cool slightly in the pan then brush on the glaze while they are still warm. Then they are ready to serve. Drizzle some maple syrup over them when they’re still warm from the oven and eat. Yummy! Please enjoy! In the bowl of the stand mixer, dissolve the yeast in the warm milk and let stand until foamy, about 5 minutes. Then add the granulated sugar, eggs, flour, salt, mace, orange zest and butter. Using the dough hook, knead on low speed. Add a little more flour as needed for the dough to come away from the sides of the bowl after a few minutes of kneading. Knead until the dough is elastic and smooth, about 5 - 7 minutes. Then remove the dough from the bowl. Form the dough in to a ball and transfer to a lightly oiled bowl. Cover and allow to rise in a warm, draft free spot until it doubles in size. About 1 1/2 to 2 hours. To make the filling, in a small bowl, stir the granulated sugar and cinnamon and set aside. Line a half sheet pan or rimless baking sheet with parchment paper. Punch down the dough and turn out onto a floured work surface. Cut the dough in half, dust the dough and roll out into a rectangle, about 10 inches by 16 inches. Brush the surface of the rectangle with half of the melted butter, then evenly sprinkle half of the cinnamon sugar mixture. Starting at the long side farthest from you, roll up the rectangle to form a long log. Cut the log into 8 slices, each about 2 inches thick. Place the slices cut side up in a circle, side by side and barely touching, on half of the prepared pan. Repeat steps 5 - 7 for the other half of the dough. Cover the rolls loosely with a kitchen towel and allow to rise in a warm place until they double in size, and are spongy to touch. About 30 - 40 minutes. Brush the rolls lightly with the beaten egg and bake until golden brown. About 20 - 25 minutes. Test to see if done by inserting a toothpick into the centre of a roll and see if it comes out clean. Just before the rolls are ready, make up the vanilla glaze. In a small bowl, stir together the confectioner's sugar, cream and vanilla until all dissolved and the mixture thickens a little. Let the rolls cool slightly in the pan then brush on the glaze while they are still warm. Then they are ready to serve. Please enjoy!